Do you have a specific question about the tires on your car? Or perhaps you're looking to brush up on your general knowledge? Either way, you’ve come to the right place. 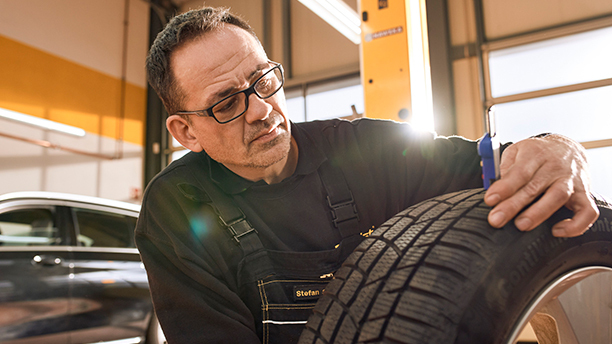 This is the Continental tire knowledge portal where we share with you our advice and recommendations for buying tires, tire care and maintenance, tire changing and fitting, and much more. Driving is as much a responsibility as it is a pleasurable activity; we believe that by clearly outlining the best practices and most important points concerning your tires, you will be empowered to drive smarter and drive safer. Are you as curious and as fascinated by tires as we are? Then let us be the first to offer you a warm welcome. Pull up a chair. Take a seat. Here’s the place where you’ll learn the essential facts about tires and tire technology. At some stage in the life of your vehicle, a tire replacement will be necessary. What to know about tire damage and age. How to handle aquaplaning and other difficult driving situations.